Yes, I understand the season is already underway, however I thought I'd get these predictions out sooner rather than later. I apologize in advance that I waited so long. As we know, there are a number of uncertainties surrounding the 2016 New York Yankees. Every team has their share of question marks, but in my opinion the Yankees have a relatively high amount. Is Starlin Castro enough to improve an offense that became borderline unwatchable towards the end of last season? 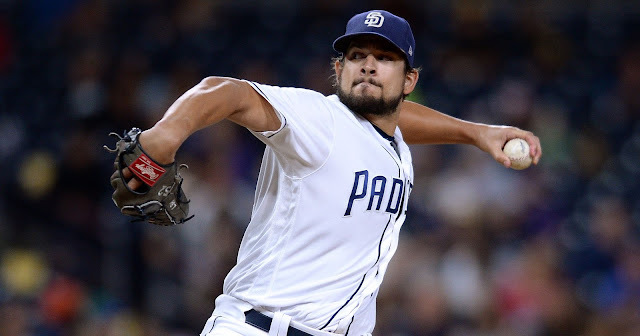 Will the members of the rotation stay healthy, and achieve a level of consistency? Will the middle relievers be able to form an effective bridge to Betances, Miller, and Chapman (after he returns from his suspension of course)? Currently, I believe this is an 85 win team, with the potential to win 90 games if some of the question marks I described above are answered in the affirmative. Will that be enough to secure a wild card birth? Is this team drastically better than last season? Time will tell, but making predictions is always a fruitful exercise. 1. Starlin Castro will perform at all star level. As someone who is no fan of Brian Cashman, I was exhilarated upon hearing the news of Castro's acquisition. Not having an automatic out in Stephen Drew at second base this year should have a notable impact on the team's overall offensive statistics. While Castro faced some adversity in Chicago last season, he has proven that he can perform at a very high level. Due to a combination of his spring training performance, mindset, and straight up talent, I don't think this is as much of a stretch as many would initially believe. The double play tandem of Castro and Didi Gregorius should be very exciting to watch this season. Having two starters under the age of thirty is also reason for celebration! 2. Aaron Hicks will prove he should be starting over Brett Gardner. In light of Hicks' misplay on opening day, many may argue this is an unpopular declaration. Even if Hicks were to outperform Gardner, I highly doubt Girardi would give away the latter's job. That being said, I think Hicks will have a huge impact on this ball club. As streaky as he was, Chris Young played an integral role last season by starting against lefties. At the very least, I see Hicks filling this role admirably. I would argue he has much more upside than Gardner, who is already 32 and has proven he is as streaky as they come. Gardner also tends to cool off in the second half, so having a capable reinforcement off the bench is advantageous. It is worth noting that all of this is contingent on Jacoby Ellsbury staying healthy, which is always a risky proposition. 3. Alex Rodriguez and Mark Teixeira will pick up where they left off. In order for the Yankees to have any success this season, A-Rod and Teixeira have to come close to replicating their 2015 successes. 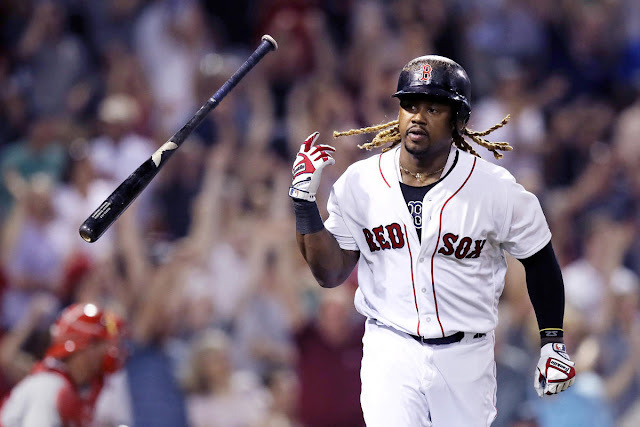 While Rodriguez struggled during August and September last season, he still managed to hit 33 home runs, coupled with 86 RBIs. This year we should expect to see A-Rod be given more days off so he doesn't run out of gas again. The addition of Hicks is key to this as well. Considering the switch hitting Carlos Beltran is a defensive liability, he can slide into the DH role occasionally on A-Rod's off days. For whatever reason, Teixeira always seems to end up with a fluke injury. In my view, he is the most important part of our offense, especially since Greg Bird is out for the year. We now lack a viable insurance policy. As long Teixeira stays healthy he will produce, so lets cross our fingers and hope for the best. 4. The rotation will perform better than we expect. I'm not going to waste my time going over the numerous question marks of each Yankee starter, however we know there is an abundance of them. The performance of the rotation will determine whether or not this team is competing for a wild card birth, or a division title. I'm expecting a huge year out of Severino. He is the closest thing to an ace we have, and he appears ready to take the next step. As long as Tanaka stays healthy, which is obviously nowhere close to a sure thing, he should perform at a respectable level. The Yankees need either Michael Pineda or Nathan Eovaldi to significantly progress this season. Both have high upside. Hopefully, one of them will finally figure it out and help anchor our rotation. I have no confidence in CC Sabathia, but at the very least we should hope he can be a competent number five starter. Nonetheless, his leash should be very short, and the Yankees should be amenable to making a change. 5. The bullpen will carry the Yankees to the playoffs. This is perhaps the most likely to happen of the five predictions, so it's only proper that it rounds out the list. I'm intrigued to see how this group will perform when Chapman returns from his suspension in May. Health permitting, the last three innings should be locked down. The dominance of these three pitchers is the closest we have to a sure thing on the entire roster. That being said, if our starters struggle to consistently pitch six innings, as they did in 2015, we need a trustworthy bridge to the big three. Whether it be Chasen Shreve, Kirby Yates, Johnny Barbato, or someone else, we need to effectively fill this striking gap. 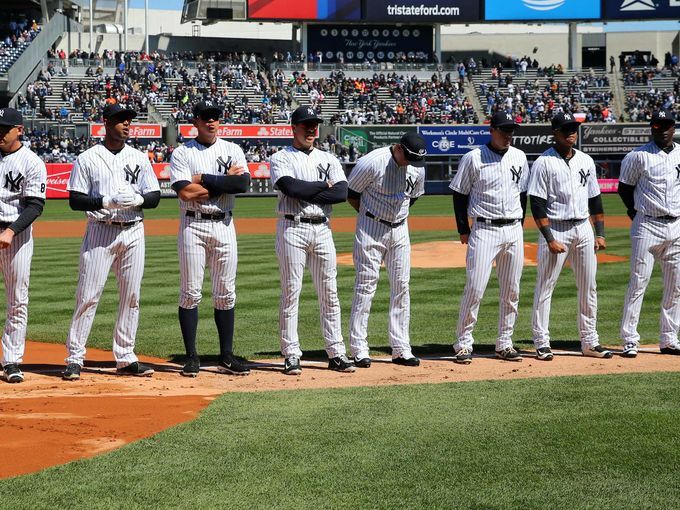 The 2016 New York Yankees will either be an exciting team to watch, or an absolute train wreck. Considering I'm a perpetual pessimist, it's increasingly difficult for me to view this team, with its plethora of question marks, in a positive light. I'm trying my best to hold out hope for health and consistency, the two keys to any team's success. At the very least, I expect them to repeat last year's performance, but lets hope for a better outcome! 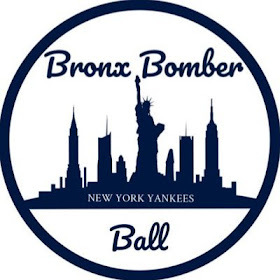 I'll be back on Twitter in a few months, but for now follow the BBB: @BronxBomberBlog .